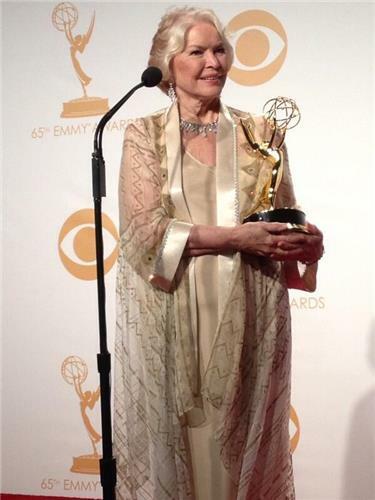 MAIN STORY: ' Breaking Bad,' 'Modern Family' take home the top 2 Emmys of the night. REACTION: How did Neil Patrick Harris do as host? Neil Patrick Harris just said "more easier." Irregardless, he's doing a great job. 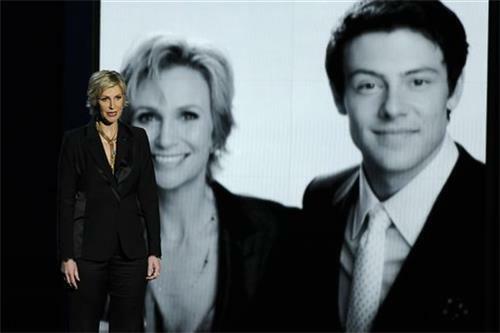 SUPPORTING ACTRESS IN A COMEDY: Jane Lynch, nominated for her role as Sue Sylvestor in "Glee" recently wore the Google Glass at an Emmy event. She was shocked it was filming. 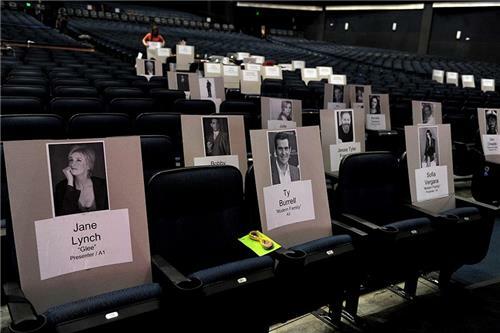 Laura Linney no doubt too busy watching the Dexter series finale and therefore couldn't make it tonight. COMMERCIAL BREAK FLASHBACK: Can you guess the year? Do you think SNL will win? Do you think Baba Wawa is watching? 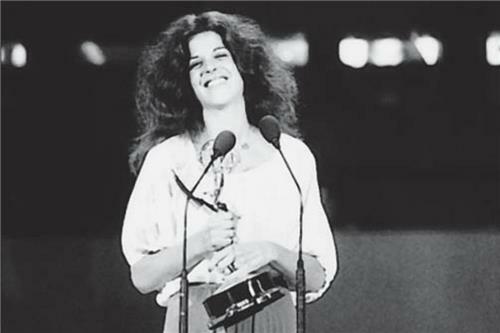 Take a look at one of SNL's classic winners, Gilda Radnor. 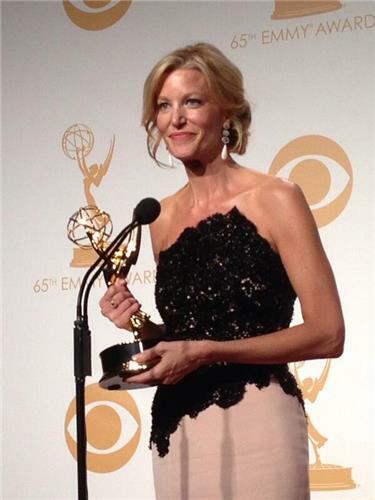 It took Anna Gunn 2 1/2 hours to get ready for today's #Emmys . She says she has some new acting jobs in the works. DID YOU KNOW? : The props for "Breaking Bad" are being auctioned off. While Walter White's car looks cheap, it's going for well over $1K. Do you recognize some of those choreographers? Many of them are the guest choreographers or judges on Fox's "So You Think You Can Dance," which has won multiple awards. 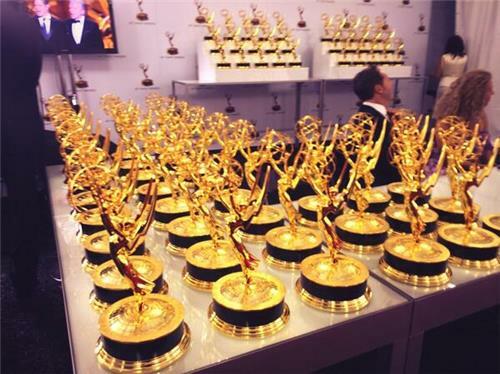 #EMMYS : I predict Colbert will succeed Letterman now that he owns Variety show category. TRIBUTE: Some of Tony Soprano's most memorable lines. "You all knew James Gandolfini the actor. I knew Jim the man." 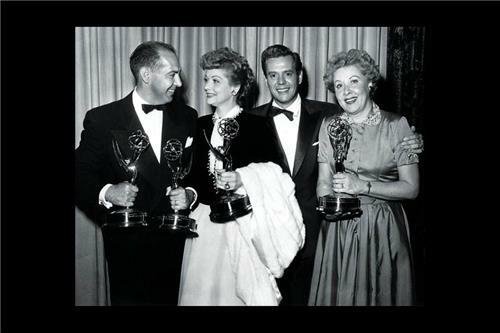 - Edie Falco remembers one of TV's (and America's) greats. The choreography routine in the #Emmys . Best idea ever. That'll do, James Cromwell. That'll do. Love Kevin Spacey swatting the camera out of his face. He wins #emmys .